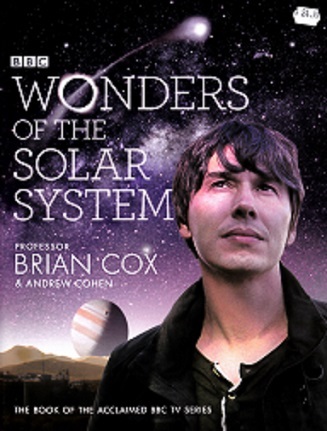 The Sunday Times Bestseller In Wonders of the Solar System – the book of the acclaimed BBC TV series – Professor Brian Cox will take us on a journey of discovery where alien worlds from your imagination become places we can see, feel and visit. The Wonders of the Solar System – from the giant ice fountains of Enceladus to the liquid methane seas of Titan and from storms twice the size of the Earth to the tortured moon of Io with its giant super-volcanoes – is the Solar System as you have never seen it before. In this series, Professor Brian Cox will introduce us to the planets and moons beyond our world, finding the biggest, most bizarre, most powerful natural phenomena. Using the latest scientific imagery along with cutting edge CGI and some of the most spectacular and extreme locations on Earth, Brian will show us Wonders never thought possible. Employing his trademark clear, authoritative, yet down-to-earth approach, Brian will explore how these previously unseen phenomena have dramatically expanded our horizons with new discoveries about the planets, their moons and how they came to be the way they are.